On Wednesday, September 23, The Middle returns for its seventh season. With Axl and Sue both high school graduates, that leaves Brick as the main kid in the Heck household. In a one-on-one interview 17-year-old actor Atticus Shafferer, who plays Brick, shared five things that fans don't know about him. In a past episode of the series, Frankie and Mike commit a major no-no for all parents — they revealed which of their children they like the best. Fans will have to dig into their video logs to see who they picked, but when asked who his favorite Heck, besides Brick, is Shaffer admitted, "It would have to be Axl just because when Axl and Brick have their little storylines it's fun to film and it's fun to see as well. And also Axl is just such an uncouth, funny character - over the top in a way. And Charlie [McDermott's] a really nice guy in real life, too. Everyone is." During a family vacation a few years ago, Atticus had a stint at space camp in Northern California. But he admitted that the latter wasn't exactly what he thought it would be. He expected the sessions to be a big learning opportunity with a small class of kids. But he soon realized that wouldn't be the case. The Middle star recounted, "We get there and we find out that there are 110 children and I'm like the 109th person. And I'm like, 'Wow, that's a lot people. That's a lot more than I thought that there was.' And first day they all sit down and the teacher gives the, 'Hey, this is what we're going to do during the science camp.' And then all of a sudden I hear her say, 'Oh, and whenever you do a good job, we're going to give you sugar.' And I was like, 'Can I sit in the way back? I don't want to be part of the rush.' It's like the mosh pit at a concert." In addition to lowering his chin and whispering key words, in Season four, Brick got a brand new tick. Shaffer reflected on Brick’s occasional whooping saying, “[It was]really surprising. I knew that Brick was going to get something [that] year but I didn't know it would be how it is… even I was and I was like, 'Really?'" While Brick is a very indoorsy kid on The Middle, Shaffer explained that he's very enthusiastic about something that might be different than what some might expect. He divulged, "I'm most passionate about anything to do with nature and the simple things. I love taking walks with my family or my friends and seeing nature. And that's why I love living where I live because I live up in the dessert area in the mountains. And so being able to see all that and be able to drive by that every day going to work, it's really nice and I really enjoy that." When asked which pop culture icon he'd like to be for one day, Shaffer confessed, "I would honestly have to say Liam Neeson because I am such a big fan of his work. I really love all his work and especially when he played Aslan in the Narnia series. It would just be so cool to see how he lives his life." 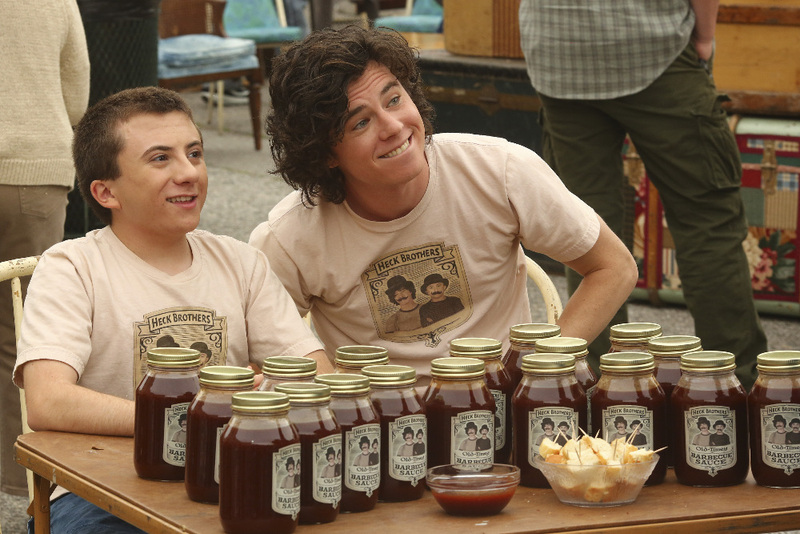 Catch Atticus Shaffer on The Middle season premiere on Wednesday, September 23 at 8 p.m. EST/7 p.m. Central on ABC.